have the app installed, you will find that there is a bit of an update to the UI. The app has a bit more of a Material Design look and generally has a better flow to it. Feature wise, however, there are no changes. 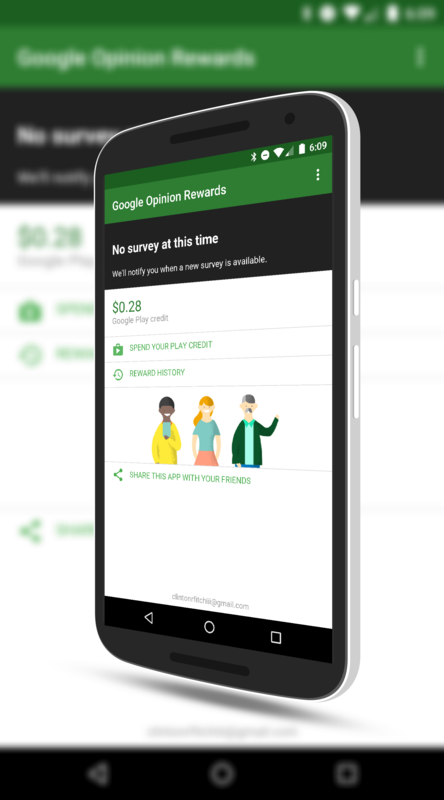 Using the Google Opinion Rewards app is free and even if you install it, there is no obligation to complete every survey. After a day they expire and you’ll get served up a new one. It is, however, a great way to get a few dollars a week for your opinion to spend in the Play Store.